Scotland's Atlantic oakwoods could play an important role in conserving temperate rainforest plants called epiphytes, according to a new study. The west coast has some of Europe's best examples of epiphyte communities. The lichens, mosses and other plants grow on trees to avoid competition for sunlight on the forest floor. The Scottish Natural Heritage-commissioned study suggested regenerating the oakwoods would improve the "richness" of the plants. Dr Christopher Ellis, of Royal Botanic Garden Edinburgh, led the research of sites along the west coast. 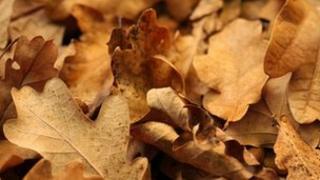 Researchers recorded oak trees of up to 188 years in age. Clear felling in the 18th and 19th centuries left Scotland's Atlantic oakwoods fragmented. The woodlands are classed as cool-temperate rainforest, which is also found on the coasts of North America, Norway, Japan and New Zealand. In the newly-published study, researchers said Scottish Atlantic oakwoods were a conservation priority. They said: "Scotland provides probably the best examples of these epiphyte communities in Europe, owing to the long ecological continuity of forest remnants, and low levels of air pollution. "However, Scotland's extant oakwood habitat is fragmentary, in a human-modified cultural landscape. "There is a move towards the regeneration of Scottish native woodlands - including Atlantic oakwoods."